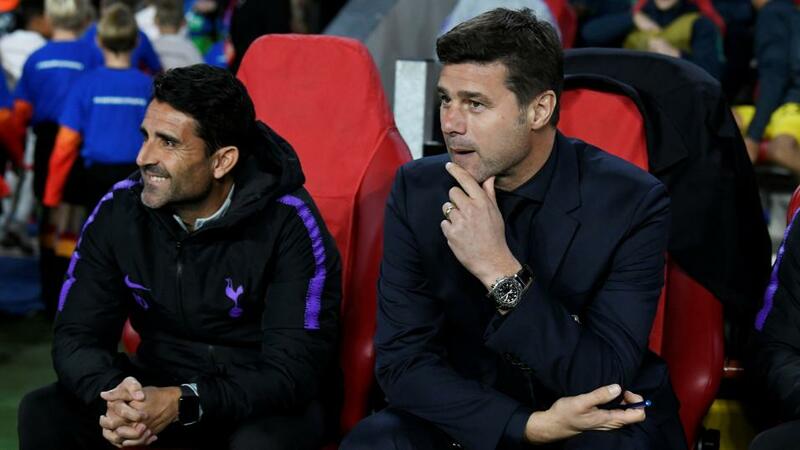 Will Mauricio Pochttino have the answers when Spurs take on Southampton? Can Spurs bounce back from defeat when they host Southampton? Opta delivers their statistical verdict. "Tottenham’s Dele Alli has had a hand in eight goals in five Premier League games against Southampton (5 goals, 3 assists), more than he has vs any other side." Alli is [3.1] to score. Tottenham have won eight of their last 10 home league games against Southampton, losing in September 2003 and May 2016. Spurs are [1.39] to win. Since returning to the Premier League in 2012, Southampton have won just one of their 12 Premier League meetings with Spurs (D2 L9). Tottenham are [2.1] to win half-time/full-time. Tottenham have had three different hat-trick scorers in the Premier League against Southampton (Steffen Iversen, Jermain Defoe and Harry Kane). Only Arsenal vs Leicester and Man Utd vs Newcastle (4 each) have had more against a single opponent in the competition. Over 2.5 goals is [1.67]. Southampton are winless in 12 games in all competitions since beating Crystal Palace 2-0 in September (D7 L5), their longest run since May-October 1998 (13). The draw is [5.3]. Since the start of last season, Southampton have dropped 33 points from winning positions in the Premier League - at least seven more than any other side. The Southampton half-time/Spurs full-time double result is [26.0]. Tottenham have scored a league-high nine headed goals in the Premier League this season. However, no team have conceded more headers than Mauricio Pochettino's side (6). Both teams to score is [1.97]. Tottenham striker Harry Kane has scored six goals in his last five Premier League games against Southampton, including a hat-trick in this exact fixture last season. Kane is [3.5] to open the scoring. Tottenham's Dele Alli has had a hand in eight goals in five Premier League games against Southampton (5 goals, 3 assists), more than he has vs any other side. Alli is [3.1] to score. Stuart Armstrong has scored three goals in his last two league games for Southampton and could become the first player to score in three consecutive Premier League appearances for Saints since Manolo Gabbiadini in March 2017. Armstrong is [7.0] to find the net.